Always get three estimates on any work to be performed, make sure that one of the estimates is from a National Company, as they are usually more structured in their pricing methodology. Make sure you only contact service providers that are insured and licensed in their profession. Ask to see their certification and/or licenses and insurance certificate that you can verify. Don't just take their word because if a worker were to get injured on your property, they could end up suing you and your insurance company. Attempt to do business with companies that are established in the community for at least ten years. This shows that they are probably a stable company and will mostly likely be around for the next ten years. Although one man operators can do quality work, think about what occurs if that individual is no longer around, there is no one left to fulfill your contract and continue protecting you. We saw this happen to hundreds of people after Hurricane Katrina. And lastly but definitely not least. Do not share any of the estimates with any of the other competitors. Make them earn your business and evaluate their competency by their performance. Observations to make about a Pest Control Company before they ever make it to your front door. Does a live person answer the phone no matter what time of day or night you call? Or do you just get an answering machine, voice mail, or see that no one ever answers the phone? This is important, because you want to deal with a responsive company that will be there when you need them. When you do reach a member of the company's staff, are they knowledgeable about their services or do they just take down your name and number only to have you wait for someone to call you back? These types of actions would indicate a poorly trained staff and should lead you to believe that you will encounter inept service in the future. Does the Company have a website you can visit and learn more about their service? If they do not, this may indicate that they do not value the benefits of new technology, not only on the internet but with the newest technologies within the Pest Control industry. If they do have a website, is their pricing available online? If not, then they may not have a structured pricing methodology and may leave pricing up to individuals within their organization that rely of getting paid based on commission, so the more they charge the more they make. 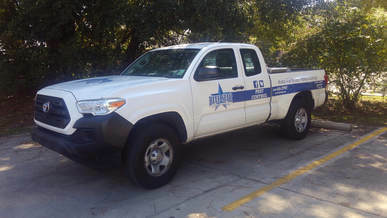 Is the Company a member of the local and state pest control associations, or the Better Business Bureau? This is extremely important because it indicates that the company truly values quality work and is willing to put their money where their mouth is. Membership in these organizations requires financial commitments and maintenance of a good reputation within the community. Upon arrival to your home or business, is the technician driving a company vehicle? Does the vehicle have permanent decals or do they just have a magnetic sign stuck on the side of the doors? This is important because it reflects the level of commitment to their profession. If they only have magnetic signs on their vehicle this may indicate that they are doing this part time or on the side for extra income and are not serious about their trade. Is the company representative in uniform? Not being in uniform expresses the company’s lack of focus on uniformity not only in appearance, but also in quality of work. What is the appearance of their vehicles? Dirty, old, rundown vehicles indicate a lack of pride in work because when a vehicle is in bad condition, the equipment to treat your home is probably not any better. Does the company representative ask probing questions such as, “Where have you seen the problem‚” / “How long have you lived there,” / How long have you been seeing the problem? / “Has the home ever been treated before.” These are important questions, because it indicates that the representative is gathering good information that will assist in identifying potential problems you may not have been aware of. Does the company have a capability of providing a termite treatment price quote over the phone? If not, that would indicate that they are using the latest in technology within their organization. Pricing is normally based upon the linear footage of a structure and most of the time (90%) this information can be obtained through a satellite imagery software program. Therefore, most pricing can be done over the phone with the proper technology. Most companies require an on site inspection of the property before they provide a termite treatment price quote. The reason they require this on-site inspection is twofold. First is to obtain the linear footage of the structure for pricing which as mentioned before in most cases is not needed, and secondly and most importantly for them is that they send out a "SALES INSPECTOR" because they want to sale you services. That is normally how most "SALES INSPECTORS" make their paycheck. The more they sale the more they get paid. Unfortunately many companies leave the pricing up to the Sales Inspector's discretion. This practice causes Sales Inspectors to price at what they think they can get from the customer rather than based on actual treatment cost. This is why they offer " FREE INSPECTIONS", remember that NOTHING is free. If you have an on site inspection performed, does the representative complete a full inspection of the property, or simply do a quick (5) minute walk around the property? Does he/she use a measuring device to calculate the linear footage of the house or step it off and guess at the measurements? This type of behavior would indicate the level of thoroughness of the company. Does the representative provide you with an emailed or written proposal for the work to be done on your home, or do they just write down a price on the back of a business card? This points towards the type of professionalism you will encounter with this company in the future. Beware when you hear statements from a representative like, “We do everything they do, but cheaper,” or “We’ll beat anybody’s price.” This would indicate that they are willing to cut corners and do whatever it takes to get your money, not necessarily doing the best job. Also, how do they know other company’s service protocol standards? In our industry we are regulated by the Department of Agriculture and all Pest Control company’s are required to perform work at a minimum standard, however, most of your better companies go above and beyond the minimum to protect your home. Be very skeptical when a company provides you with two different prices to treat the home depending on the type of chemical used to protect the structure. Ask yourself, why a company would even consider using a less effective product to protect your home. Do they not believe in using only the best available product to protect one of your biggest investments? This can help you to identify the company's mindset; do you want them to justify using inferior products and services? Some companies offer a repair guarantee. Be sure to read the fine print in these contracts. DO NOT take the word of a representative as to what is covered and what is not. Because when it comes down to the facts, it does not matter what you were told would be covered, but rather what you signed for. In some cases the repair portion of the contract may take up to 36 months before it goes into effect. In almost every case the repair contracts cost more than a re-treatment contract, sometimes as much as $650 or more. Make sure the company can provide you with the prices they charge for services without having to send out a "Sales Inspector" to your home. Does the company provide their basic pricing of services online? If not why not? Many times pricing is left up to the field technician because they are usually paid based on how much they charge the customer. The more they think they can charge you the more money they make. When you contact a company, ask them what type of treatment methods they utilize to control insects. If you get an answer like “We spray all the inside‚” be very wary of their service protocol. There are many different formulations of pesticides in our industry which include gel baits, granular, aerosol, paste, and dust just to name a few. There is no one spray that will take care of everything. A proper treatment should include different methods of application depending on the targeted pest you are dealing with. Be cautious if a company only provides inside service for your pest control plan (the only exception to this would be if you live in an apartment). If the company will only be applying pesticide on the inside of your home, this shows their willingness to first let the insects invade your home. Some companies do this believing that if you see bugs you will continue to use their service. More importantly, you want to limit the amount of pesticides used inside your environment not increase it. Many consumers say that they do not want to sign a contract or Maintenance Agreement with a Pest Control Company because they do not want to be locked into a long term situation. The problem with this idea, is that there is no written agreement as to what type of service will be performed and what pests are covered. Therefore when a problem arises, you have nothing to stand on when a given company charges you additional fees for different pest problems that may arise.